AR-15 Rifle is a girls favorite gun, call us and ask why! Nothing more fun than the AR-15 Rifle to learn on. This Rifle is so easy, and comfortable to shoot accurately. 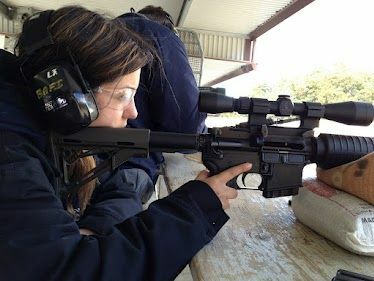 A womans favorite gun no recoil. Rental Fee for expensive bolt action rifles: $50.00 Top of the line. Bolt action Rifles are also in this course if you also desire to learn on those also, or if you have your own rifles, please bring them. When you call our facility, please have exact dates ready so we can adapt ourselves to fit your needs, this avoids too many calls, back n forth, and also the class being filled by the time you call us back. Range fees, ammo are paid by students. up to depending on the size of the class 5hrs course cost $209.00 / per person. These courses are performance based, so you may complete your course in less time, Small personalized groups good student to instructor ratio per instructor. Or 3.5 hour Basic First Steps course for only $167.00 Experience is everything, we have been here for 19 years. If people come n go, but experience stands the test of time. Range fee ammo not included. Offsite ranges very in distance from 15 mins travel to 25 mins maximum, range fees ammo paid by students on all Basic First Steps courses. If you have a scope that needs zeroing in, we can do that also. Range Fees, ammo paid by students. Minors as young as 12 years old are welcome but must be accompanied by either the parent or legal guardian. Please call us direct for details… Bring your kids they will love it. Gift Certificates Available. Students pay for range fees and ammo. All AR-15 Rifles come equipped with holographic sights, also new additions 6.8mm 4 x 12 x 50 power Vortex custom designed scopes, and 7.62 x 39 We now have them all. Don’t miss out. Minors welcome under 18 years of age. Introductory Courses only $137.00/person plus range fee, ammo, minimum of 4 people. Basic First Steps Rifle $169.00 4hrs duration. Corporate events available for groups up to 60 people. All firearm safety academics, 3 rules of safe gun handling. Tons of repetitions practice in our classroom before we allow you to begin live fire evaluation. One hour live fire on the range. You will learn the to take apart, clean, and reassemble. You will also learn to load, unload, and clear malfunctions, and learn to adjust the sights to the zero point. How to acquire the target quickly, get your shot off with great accuracy. Fire from 75 / 150 / 300ft. From the bench, standing, kneeling, and prone position. Ammo range fees paid by the student. 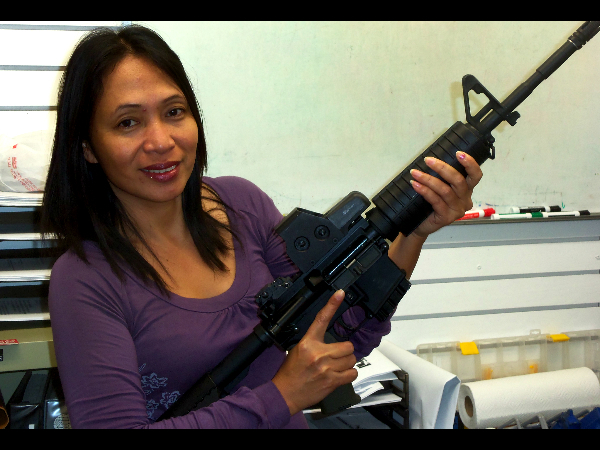 Graduate certificate ranges that handle high power rifles are either in San Mateo, San Leandro day or at night, or in Los Gatos Thurs-Sunday. Picture below: Another great day at the range with a beginner that had zero experience with the AR-15 AND NOW IS SHOOTING IN THE SMALLEST, TIGHTEST GROUPS. What is included? . This course takes you one step beyond the Basic Course. You will learn to zero in your sights, Sight acquisition quickly as needed, your groups cannot be larger than 8 inches from 150 feet away. Cost is $ 169.0pp You will fire either 223, or 5.56 NATO ammo. So you now own an AR-15 Rifle, now what? The AR-15 is one of the most technical rifles to clean. If you desire your rifle to work every time, and then you need to take this course, or you can pay one of our tech’s $40.00 to clean it every time after you use your AR-15 at the range. What is a Carbine Rifle? For example: A full size M-1 Garand is super big heavy long range rifle. Now an M-1 Carbine is a small manageable version rifle, but also very effective. 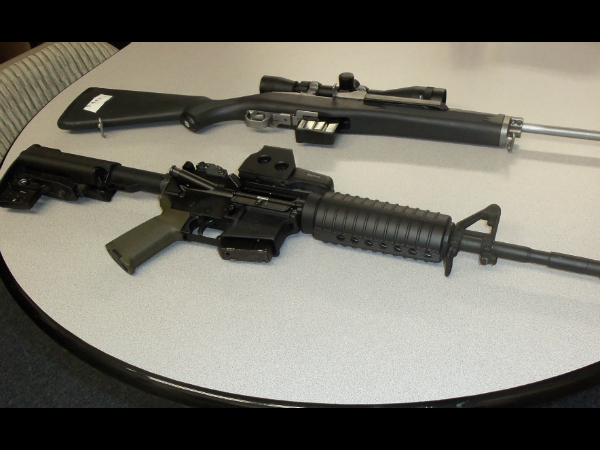 An AR-15 is another great example of a carbine rifle. Used worldwide. You will first be taught the basics, then on to advanced techniques. These rifles you will begin with open or known as iron sights. We start you off this way, then you can use an optical red dot sight. After mastery of that then it’s time for scoped rifles! You will visit the range two different days. Maximum size is 8 students to one instructor, for a larger group a second instructor will be added. You must complete the Basic AR-15 Rifle first, or be Military trained, and pass a firearms safe handling drill . Includes: Malfunction drills, emergency re-loading, shooting from the following positions: Prone, high-keeling, low-kneeling, standing, bench shooting from the bags, Point shooting, rapid deployment shooting, immediate action drills, distance shooting from the following distances: 25 yards, 50 yards, 100 yards, zeroing in your scope or red-dot. Correct cleaning of your rifle. Bay Area Firearms Training Group was founded in 2002 to provide quality education promoting responsible gun ownership and safe gun handling making our communities a safer place.